The familiar sound of the iconic Red Kettle bell will soon be heard throughout the local community as The Salvation Army of Kent County opens its Red Kettle Campaign on Friday, November 9 at a select number of locations. 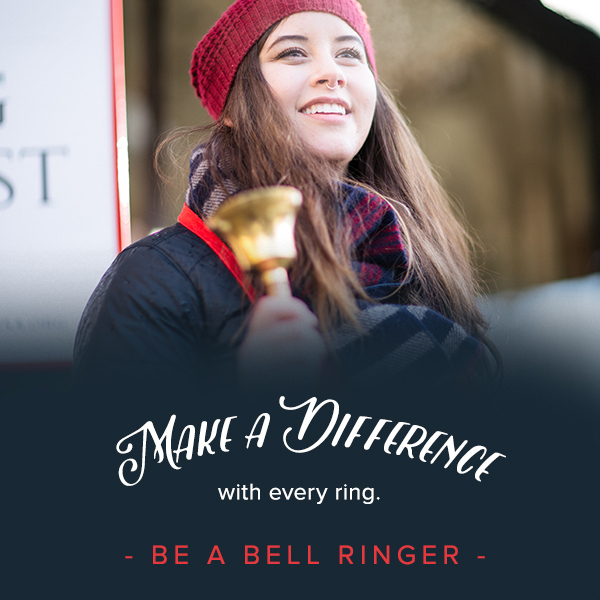 Last year alone, donations at Kent County kettle sites generated nearly $335,000 in support of local Salvation Army programs and services, largely facilitated through the efforts of volunteer bell ringers. The Red Kettle tradition began in 1891 as a way for Salvation Army Officer Captain Joseph McFee to provide funds for a Christmas dinner for those who were destitute and poverty stricken in San Francisco. Throughout the world, public contributions to Red Kettles enable The Salvation Army to continue its year-round efforts at helping those who would otherwise go without. “We’re humbled by the strong volunteer support from the local community during Christmas,” said Major Norman Grainger, Kent County Coordinator. “The Red Kettle portion of our Campaign is a vitally important part of our fundraising efforts during the holidays and is enhanced through the dedication of our volunteers,” Major Grainger added. The public can support local Salvation Army bell ringing efforts by registering online, by calling 616.459.3433 ext: 1152 or by emailing valerie_nance@usc.salvationarmy.org. The public can also support The Salvation Army of Kent County by sending financial gifts directly to The Salvation Army, 1215 Fulton Street East, Grand Rapids, Michigan 49503-3849, by calling 1-800-SAL-ARMY or by donating online.